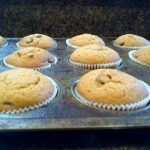 Playdates + baking = great things - A Life From Scratch. A new tradition has been established between a dear friend and me. Somehow at the end of our crazy weeks we come together to bake. After our conference calls have been completed and the crackers that the boys like have been picked up at Target and the obsessive stops at the J Crew sale have been made and the swim lessons are done and work has been (hopefully) finished (to pay for the obsessive J Crew stop) and the to do list has been dwindled down just a bit and the grocery shopping for dinner has been picked up and the wine has been chilled for a few moments in the freezer it is time to bake. Best therapy ever. This blog was established to be a creative outlet for me in the kitchen. I was quite certain going into this that it would do just that. And that’s all I wanted out of it. What I did not expect was to have it bring me closer to people. To neighbors, strangers, friends I’ve known for years – friends I’ve known for months. One in particular that I have mentioned from time to time in posts is my dear friend, Catherine. I refer to her as my ‘editor’ as she is diligent about reading through each of my posts thoroughly and then consistently sends me a very kind email correcting where I was wrong. It is greatly appreciated. Through our ‘baking’ play dates we have bonded over testing recipes, over wine, as well as over tantrums. L has found two great friends in Catherine’s sons. They are amazing boys and together are already establishing traditions of their own. Somehow they got in the routine of swapping pj’s. They are currently in a super hero phase. 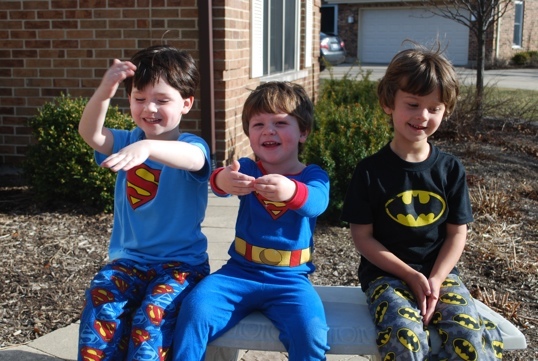 I literally saw Catherine’s youngest transform into his alter ego of ‘Super Man’ when he put on the pajamas and then proceeded to run around the house like a crazed person. It was awesome! The boys are getting into the baking process as well. Today we were out of cream, so Catherine had to go out. At that point the running around the circle of the family room stopped and all three superheros decided they wanted to ‘help’ me at the same time. Ok then! Trying to get 3 boys under 5 to wait their turn and then perfectly measure 4 cups of flour? More wine please. The point in all of this is that they are getting into it. Catherine’s youngest loves and requests the blueberry muffins. Her oldest wants to help us mix things. L loves to chop as well as crack eggs. As we swap stories from our week and they play and then we hear screaming from the basement followed by ‘you can NOT hit your brother with a bat’ as well as ‘ok I’m going to give you two choices. 1. You can stop whining and I will continue to play with you or 2. I will just go home’ (L…really??) it is comforting to know that something is slowly baking to perfection in the double oven. Well, if you’ve stuck with me through reading all of the above, you are certainly due for one special recipe. And this is it. This recipe was a part of the ‘challenging’ myself in the kitchen aspect of this blog as I have never made scones before. I was a tad nervous – especially with the dough part. I’ve watched Ina do it flawlessly on TV many times before but could never envision myself doing it quite as nicely. As I handled the dough it really wasn’t scary, at all. The whole process came rather natural – whew! It’s funny how things can happen like that. Why did I wait so long to try? Make them for (or with!) a special friend and enjoy together. Combine the 4 cups of flour, sugar, baking powder, salt, and orange zest in mixer. Add in butter and mix slowly until the butter becomes 'pea sized.' Whisk together the 4 eggs and the cream. Slowly pour into the mixer until just combined. Toss the cranberries in the remaining 1/4 cup of flour. Add to the dough and combine. Dump the (very sticky) dough onto a floured surface. Don't worry, this is the fun part! Flour your hands and create a nice ball. Flour your rolling pan and roll until about 3/4's of an inch thick. 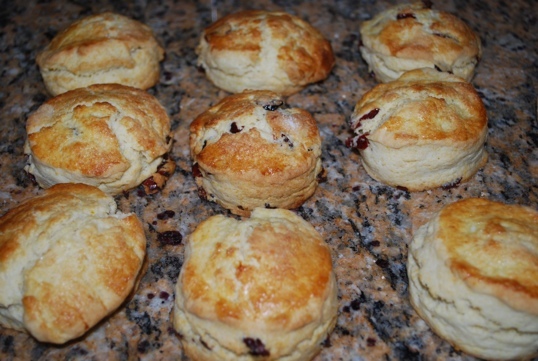 Using a floured 3 inch pastry cutter cut out the scones and place on the baking sheet. 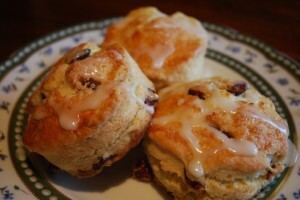 Combine the last egg with the milk and brush lightly on top of each of the scones. Sprinkle with sugar and bake for about 20 minutes. Combine the scraps from the dough, form another ball, and repeat the process. You should end up with roughly 20 scones. Once the scones have cooled, combine the powdered sugar and orange juice to form a glaze and drizzle over the top of the scones. Ok Catherine – I’m ready for my errors on this post. I’m expecting a lot tonight. So sweet and witty, as always. Thank you Heidi!! !